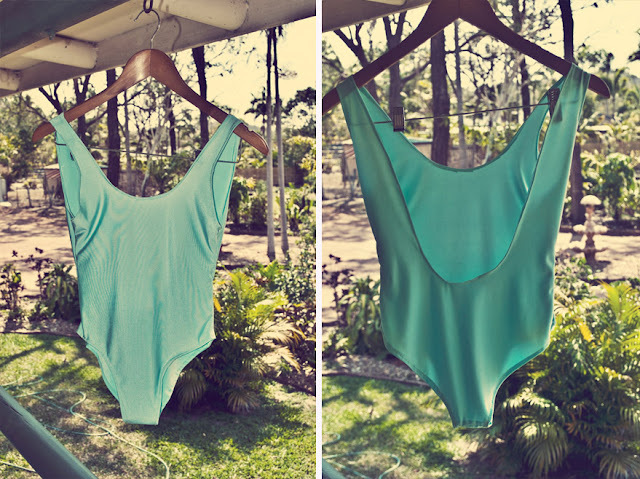 t-maree clothing: I made a leotard! Making a leotard is something that I've been wanting to try for quite a while now! So I figured why not take advantage of my uni-free lecture recess and get down to creating one. First I made a pattern to use to cut out the fabric with, then I got straight to sewing it together! I will be making a whole batch of leotards soon with all sorts of girlish embellishments ready for the warm summer months! I can't wait !! Be sure to follow me on facebook, bloglovin and lookbook. So cute Tania! Loving the colour and low back :) Excited to see more!